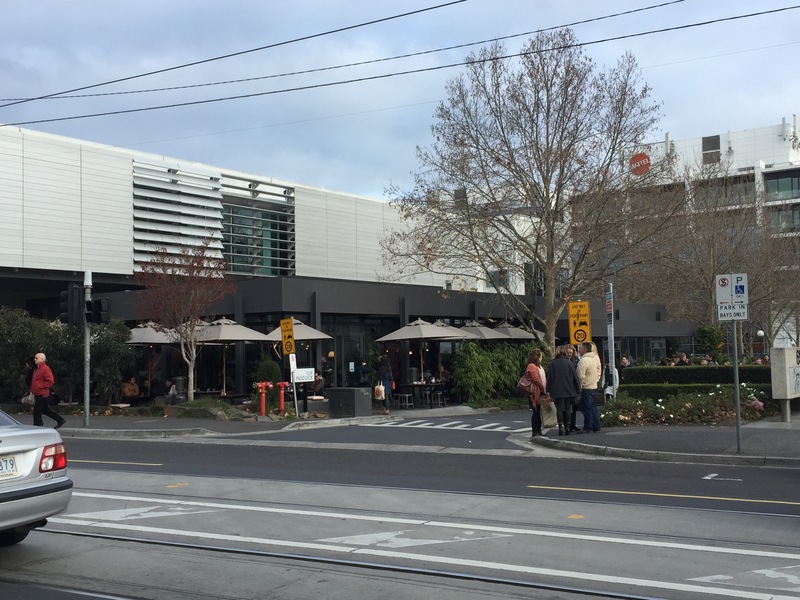 Top Paddock in Richmond is a breakfast venue we’ve been keen to visit ever since we moved over to Melbourne and we finally made it. Lines are something we’ve really tried to avoid. Coming from Perth as long as you got up at a reasonable hour you tended not to have to wait, even at the more popular venues. Unfortunately there was no way to avoid a queue at Top Paddock! By arriving before 9.30am we managed to beat the worst of it and after about 15 minutes were at a table watching the line get larger and larger. Lucky for those waiting, Church St is a delightful area. There’s a wonderful array of designer interiors and furniture stores and it’s a joy to take in the sheek cool of Richmond. We didn’t mind having a seat outside, as it gave us a chance to take in the greenery directly across from the restaurant, although it would have been nice to get a glimpse of the interiors. We were nice and warm with the heater and there was the added bonus of a gorgeous puppy at a table nearby. Oh that baby face, deep eyes and soft fur would melt any diners heart! Before I get carried away with the cuteness, back to the meal – the service at Top Paddock was weekend slow, but the staff were attentive and efficient when they did finally get to you. 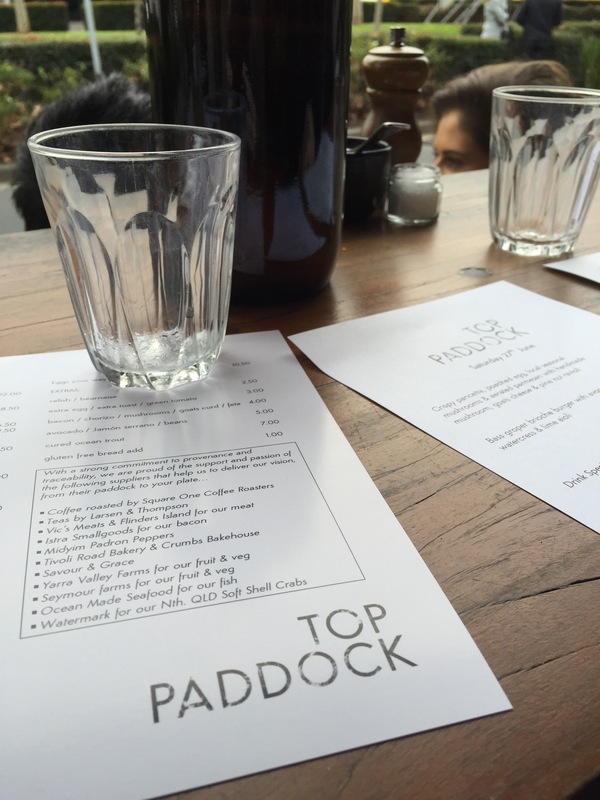 Top Paddock is all about provenance and traceability – this means buying local, direct from suppliers, giving diners the very best produce and supporting our farmers in the process. They have given us a menu loaded with delicious dishes and this made choosing just one very difficult! 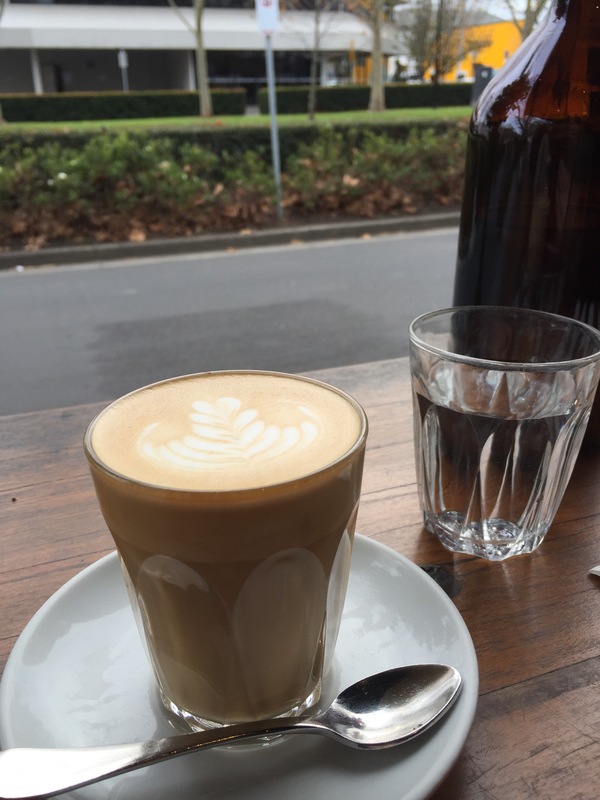 Luckily we started with coffees, our lattes were smooth, initially a little bitter but with a creamy foam. They made a decent accompaniment to our meal but it obviously wasn’t their focus. 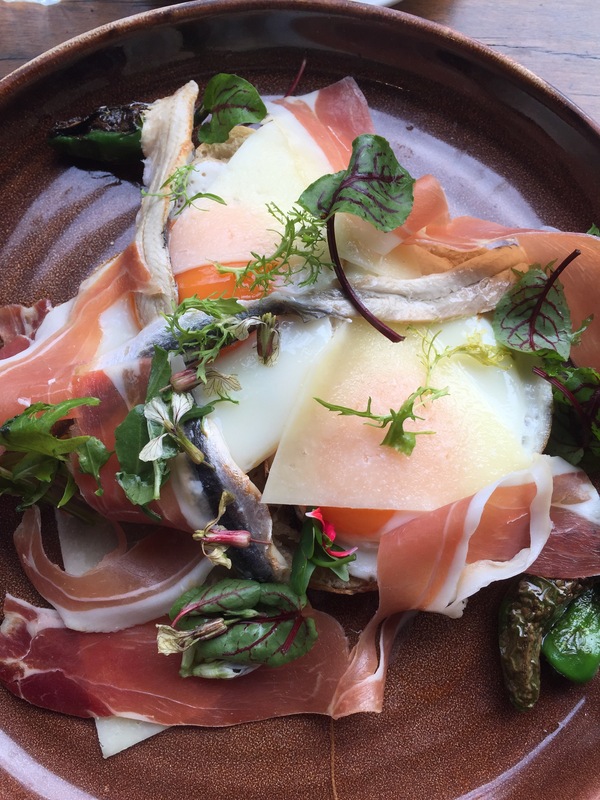 Our first dish was the jamon serrano with anchovies, eggs, cheese and toast. It was salty, as you’d expect with such ingredients but it was actually well balanced. If anything we wanted more flavour from the jamon Serrano and found the toast was just too blonde. Overall it was definitely the kind of dish we wanting, with a lot more finesse than your run of the mill cafe, but needed a little better execution to reach its potential. 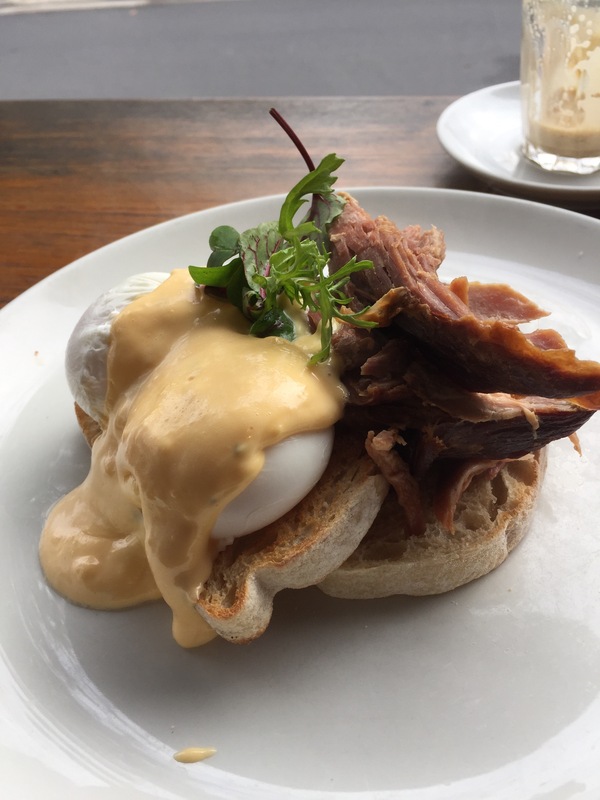 We also went for the eggs benedict with ham. The ham had exactly the right kind of chunks, thick and delicious and there was plenty of sauce. The eggs were perfectly poached but the toast was again too blond. We were once again impressed by the generosity of the serving and the more unique ideas but wanted those extra little touches in the execution to make it the perfect meal. Top Paddock do a good breakfast in a nice locale, it’s definitely worth a visit but be prepared for a line! I have wanted to visit for ages but absolutely hate having to queue for a table. Is it really worth the wait? It’s a good feed, a cut above your usual breakfast options but no need to be in a line all morning for it. I wouldn’t worry after 10am on a weekend, it was crazy seeing the queues build. We aren’t really into queuing either.